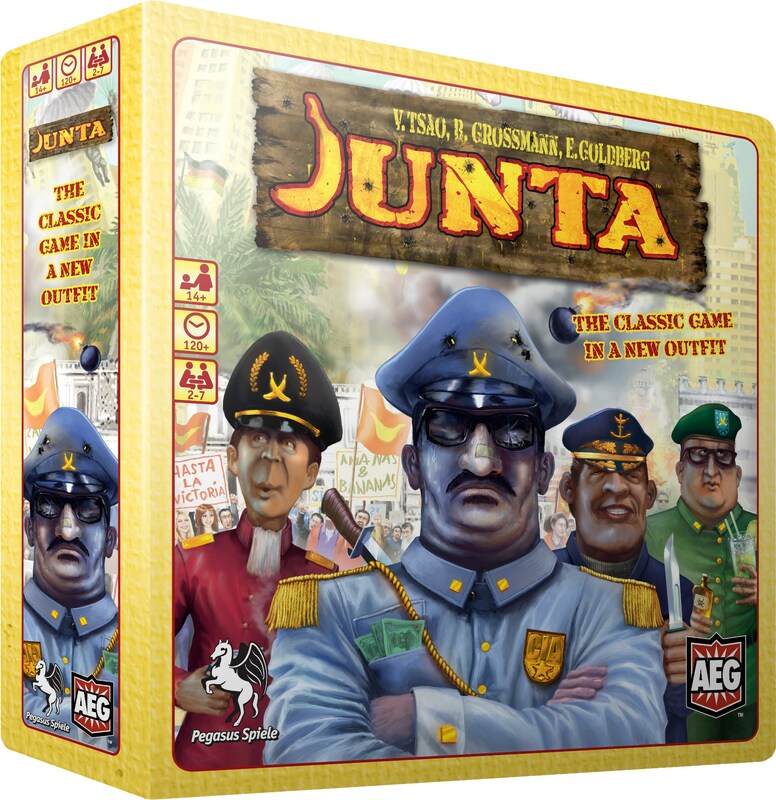 With just a couple days left in 2017, AEG has updated their website with a look at some recent and upcoming releases. 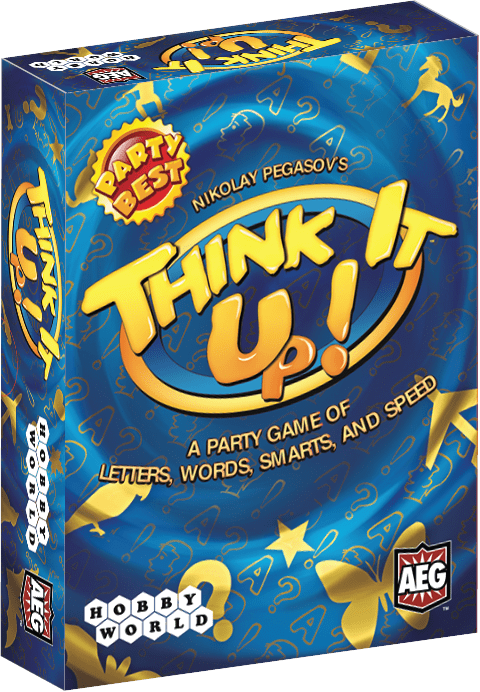 Looking for a way to spend that holiday money or just trying to find a new game to play in the new year? Check these out. There's a little bit of something for everyone. The legend says that in a time of grave danger, masters of the elemental orders will leave their ancestral retreats and join forces to restore peace of the world. From the once-dormant Tekirin volcano the vengeful Magmaroth has emerged. Born of earth and fire, its goal is to mold the world to its image: primal and ruthless. The time is now for the masters to face their destiny. 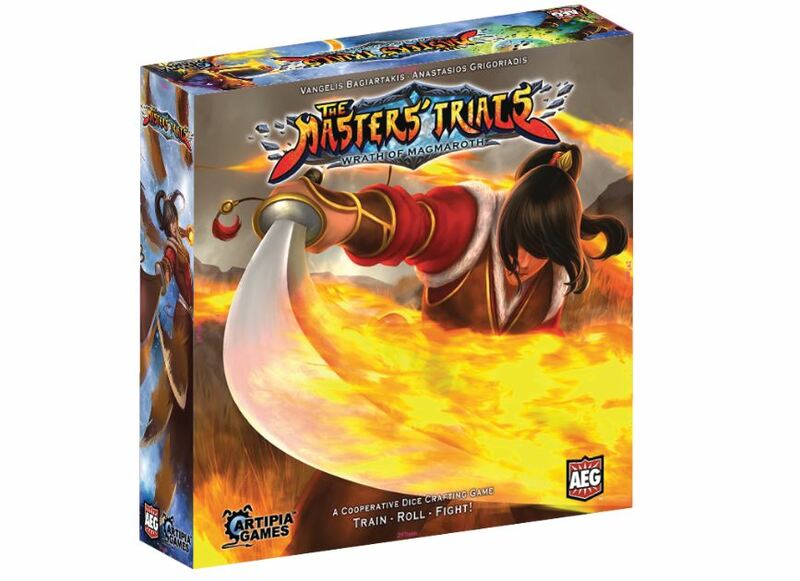 In The Master’s Trials: Wrath of Magmaroth, players each represent one of the masters from the orders that have banded together to face the evil elemental. Build your own character, roll and move dice to use the powerful techniques you have mastered and work in concert with the other players so you can defeat Magmaroth before time expires! 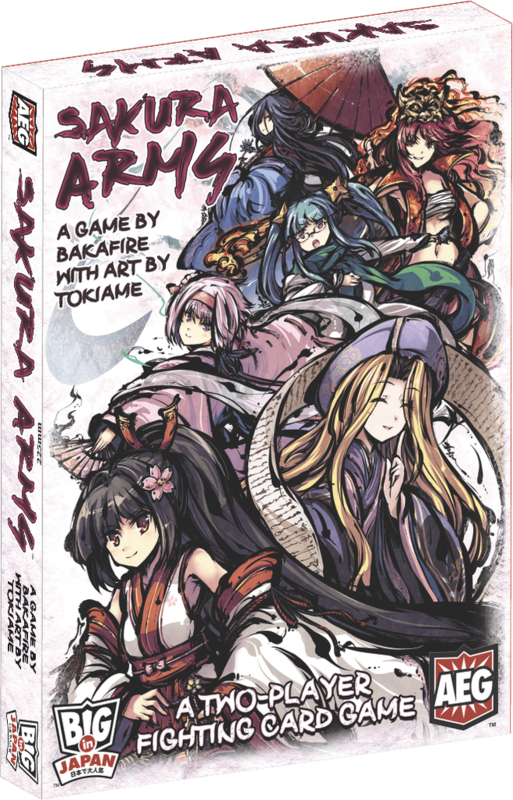 Sakura Arms is a two-player fighting card game, where players control the powers of the “megami.” These megami are channeled through the delicate petals of the Sakura tree. Choose two megami each game to create combinations of powers. Defeat your opponent and prove you are the most powerful fighter! Sakura Arms is an elegant game from Japan, designed by Bakafire. The game has already become hugely popular in Japan with tournaments and an online game in the works. 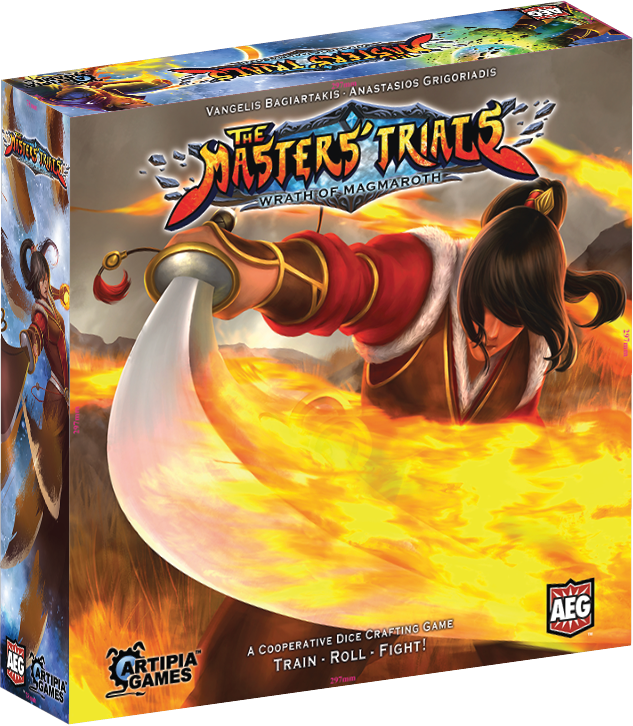 Featuring stunning art and design, the game is both easy to learn and incredibly challenging. Place the petals on your hands and face your destiny! POWER! Do you have enough influence and Pesos to become the new President of the República de las Bananas? INTRIGUE! Pay a little money for an assassination to gain a lot more – you need only to guess correctly where the other members of the government are hidden! REVOLUTION! Your assassins may not have been successful, but a group of misguided students in front of the Presidential Palace convinced you that the current regime is unbearable. Get ready to start a Coup and free the República de las Bananas of its corrupt leaders. Will the rebels choose you as their next President, or will you be sent to the firing squad at dawn? How many professions starting with the letter M can you name in one minute? Who will give the longest female name starting with W, or the shortest drink starting with R? Think faster or your opponents will run ahead of you! Be the first to name the right word beginning with the given letter and related to the indicated theme. If you can think up the word faster, the victory is yours!